February flew by here at the Nebraska State Legislature. Our office has been busy preparing and conducting hearings on behalf of the Business and Labor Committee as well as attending hearings pertaining to the bills Senator Hansen introduced this session. In total, our office has been involved with over 60 bills. Between hearings, meetings with community leaders and advocates, and legislative events, there is no shortage of work to be done. We are grateful for the constituents of District 26 and their willingness to be involved in the process and provide meaningful insight into the issues being addressed daily on the legislative floor. On February 2nd, I had the honor of speaking at the Student Leadership Conference hosted by the University of Nebraska Student Regents from UNK, UNL, UNMC, and UNO. The conference brought together student leaders from all four campuses to discuss the legislature, policies affecting students, and student advocacy. It was a pleasure to be able to share legislative insights and actively engage with the students about topics affecting college campuses. I am always excited to find opportunities to encourage civic engagement from young people. On February 9th, NeighborWorks held its 3rd Annual neighborhood forum. I was able to participate on a panel with a few of my colleagues where we discussed the bills introduced this session pertaining to neighborhood and housing issues. It was great to be able to sit down with constituents and provide them with insight into the issues affecting their homes and community. It also created an outlet for constituents to voice their concerns and provide important feedback regarding the impact of various legislative decisions. NeighborWorks is an organization that does a lot for homeowners by providing educational resources and creating opportunities to collaborate with community leaders and city officials to address the needs of residents. Our office was pleased to celebrate Senator Hansen’s birthday on February 11th. Our office received many warm birthday wishes which made celebrating that much more special. Thank you to all of those who sent cards and emails. As always, thank you for your continued support and feel free to reach out if you have any questions or concerns! January brought lots of changes and plenty of work for our office. This month saw the commencement of the 106th Legislative Session. Senator Hansen introduced 31 pieces of legislation in addition to co-sponsoring several others. In addition to the meetings, additional research, and various processes that have accompanied this legislation, Senator Hansen was also elected the Chair of the Business and Labor Committee. With this election came an office change and a wonderful addition to our office staff, Legal Counsel, Tom Green! Public hearings began on January 22nd which means that there are plenty of opportunities for you as constituents to get involved in the process. As always, please feel free to reach out to our office at 402.471.2610, if you have any questions, comments, or concerns. On January 9th, the 106th Legislative Session commenced. As with the start of every legislative session, the process began with the election of committee chairs for the the 14 Standing Committees, the Executive Committee, and the two Special Committees: the Rules Committee and the Enrollment and Review Committee. It was a great opportunity for the freshman senators and continuing members to interact and begin setting the tone for this legislative session. As the new Chair of the Business and Labor Committee, Senator Hansen is tasked with the responsibility of presiding over the executive sessions and public hearings concerning bills assigned to the Business and Labor Committee. Such bills include those concerning wages, workers’ compensation, labor and employment relations, and other similar pieces of legislation. As the committee hears testimony for bills, its members make the determination about whether or not a given bill will be sent to the floor for debate or postponed until a determination can be made about the bill’s disposition. Senator Hansen’s election brought with it the opportunity to bring valuable insight to other members of the Business and Labor Committee and the public, and the ability to interact more frequently with community stakeholders and constituents. Welcome Tom Green, Legal Counsel to the Business and Labor Committee! Tom Green has over ten years experience in the legislature having previously worked as the Legislative Aide for Senators Ken Haar and Rick Kolowski. Tom graduated from the University of Nebraska College of Law in 2008 and also has his undergraduate degree from UNL. Tom is married to his wife Jennifer and they have two kids Abbie (10) and Warren (8) who attend Pyrtle Elementary School. Tom was recently elected to a four-year term on the Lower Platte South Natural Resources District serving subdistrict 8. Tom’s position as legal counsel will make him an asset to the Business and Labor Committee. In this position, he will work to understand the legislative intent and history of every bill presented before the committee and convey vital and necessary information to committee members. Happy New Year, Northeast Lincoln! December was a busy month. Between making time for holiday festivities and preparing for the session, our office elves are working tirelessly. The bill drafting office has experienced a heavy influx of requests as senators make their final revisions and submissions of legislative proposals for 2019. This month brought lots of meetings with community leaders, a trip to Capitol Hill, and plenty of delicious baked goods. We are very excited to represent District 26 on the legislative floor this upcoming session and look forward to highlighting key issues on behalf of the constituents! At the beginning of December, I had the fortune of travelling to Washington, D.C. to take part in the National Conference of State Legislatures (NCSL) Capitol Forum on December 5-7. This event helped create a dialogue amongst various officials in order to provide perspective and insight into how to best address state and federal concerns. The NCSL Capitol Forum allowed legislators to share insights and network with senators and staff across the country. It also provided attendees with the opportunity to advocate for states, especially those critical issues facing state legislatures. Our office has been putting in lots of hard work in order to ensure an exciting and productive legislative session. Amongst the plethora of meetings and events that were attended this month, some of the most crucial were those involving community stakeholders and other political officials including: a meeting with the City of Lincoln and Mayor Chris Beutler, discussions with behavioral healthcare providers, Lincoln Public Schools, the Uniform Law Commission, various labor groups and unions, and my newly elected colleagues. 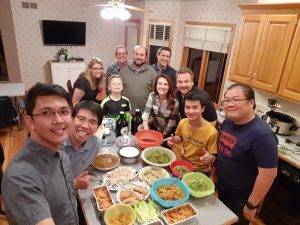 A lot of meaningful time and effort as gone into communicating with these individuals and trying to find that best solutions for District 26 and the City of Lincoln. The progress we’ve made in preparation for this session demonstrates the impact of a good team. I am grateful to my staff for their hard work. We are excited about what is to come and look forward to showing District 26 the fruits of our labor in the upcoming weeks! Last month, we looked at the research and other processes conducted during the interim to prepare for the session. The interim studies period paves the way for potential legislation. After the necessary research is completed, the Senator will take his or her ideas to a bill drafter. The bill drafter helps the Senator format the proposed research into a legally acceptable bill format. That bill is then introduced by the Senator on the legislative floor during the first 10 days of session. Senators introduce bills by filing them with the Clerk of the Legislature, who then gives them a number and makes sure that the bills are read into the record. Fiscal Notes are prepared for each bill that is introduced; they estimate the monetary effect that each bill will have if they become laws. Most bills will receive public hearings (with a few exceptions) before a legislative committee (a committee of senators specially charged with considering that piece of legislation). There are 14 standing committees in the Nebraska State Legislature. 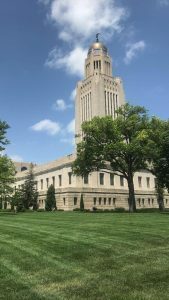 To learn more about these committees and the types of bills that might get introduced to them, check out the committees link: https://nebraskalegislature.gov/committees/committees.php. Next month, we will wind things down with a discussion of how bills become laws (or don’t). Here’s wishing you all a wonderful New Year! With the end of the year approaching, our office has been making the final preparations for the upcoming session. Interim committee meetings are slowly winding down in anticipation for a very lively and productive start to 2019. I am excited for the constituents of District 26 to get to see what we have been working on during this interim period. I hope you continue to feel free to contact our office if you have any questions or concerns. District 26 is always my number one priority. Gateway Vista is one of Lincoln’s premier senior living facilities for Retirement and Assisted Living. On November 13th, I had the pleasure of engaging with the residents and staff on their campus and getting to know more about the issues on their minds. Gateway Vista is a valuable asset to District 26 and it was a pleasure to be invited there and to have such a great discussion with the residents. The People’s City Mission has been a vital part of Lincoln for decades. It’s mission — to feed and shelter the homeless and impoverished — provides a wonderful sense of charity and community. On November 21st, I was humbled by the opportunity to serve families at the Mission, in a bipartisan effort to give back hosted by Governor Pete Ricketts. It was a wonderful experience that brought various members of government from all different perspectives together to share thanks and volunteer in our community. 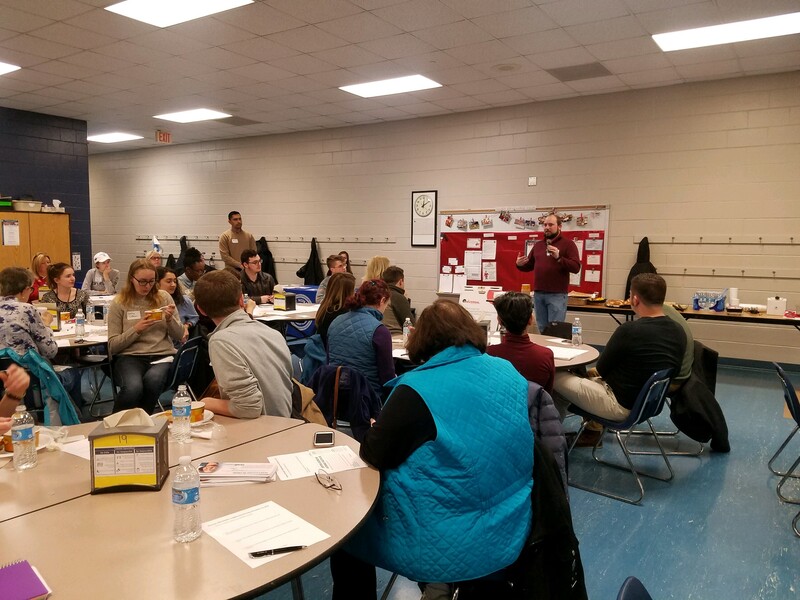 This past Saturday, December 1st, my legislative aide, Courtney Lyons, and I attended a community conversation hosted by Collective Impact Lincoln, a project to address the needs of Lincoln formed by Civic Nebraska, Nebraska Appleseed, and South of Downtown Community Development Organization. The conversation, held at Huntington Elementary School, was to get community input on how to address the high cost of housing, both for renters and homeowners. Civic Nebraska is a powerful resource in Lincoln and a strong authority on community-building and civic engagement. I was happy to be able to attend the event and be a part of the dialogue. How does a Senator effectively create law? As the session approaches, we will be highlighting the legislative process here in Nebraska. Here are a few key facts to help you understand the process starting with what happens during the interim period. When a Senator wants to change or create a law, typically it begins with research by staff to help show the possible remedies and nuances to that problem or issue. Research is conducted during the interim, which is the summer through fall. 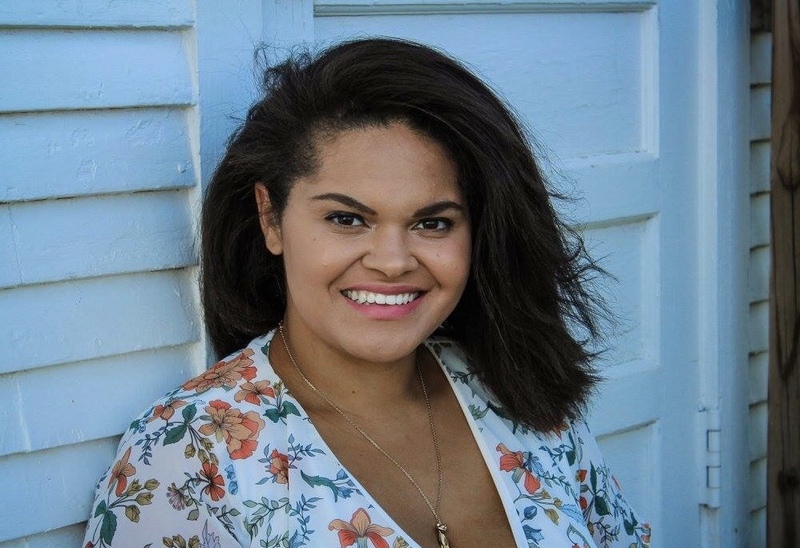 During this time depending on the scope or significance of the issue, meetings are held with community leaders and sometimes committees consider the issues presented in interim study resolutions. The interim is a crucial window in which the Senator has time to digest the issues affecting his district and find possible solutions to present during the session. Next month, we will delve into bill drafting and introduction. Thank you for your continued support and Happy Holidays from our families to yours! October was a whirlwind month for our office. In addition to numerous meetings and continued research being conducted in preparation for the upcoming session, our office also watched for the results of the November 6th elections. As committee meetings wind down and the holidays approach, our office is working diligently to ensure that the upcoming session gives adequate attention to the needs of District 26. I was honored to act as a fellowship host for the 2018 Young Southeast Asian Leaders Initiative (YSEALI) Professional Fellows Program on Governance and Society during the month of October (October 6 – November 17). The Fellows Program allows emerging young leaders to spend five weeks in the United States engaging in tailored work placements relevant to their chosen fields. Four promising fellows from Southeast Asia participated in the program and it was my privilege to be able to help introduce them to our local community and discuss the Nebraska legislative process with them. 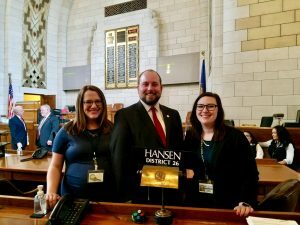 The fellows, who had local placements within the community, were treated to all of the best that Lincoln has to offer and gained valuable insight into American democracy and more specifically, the Nebraska Unicameral. The Planning Committee is a special committee tasked with the responsibility of identifying emerging trends in Nebraska and accessing the impact of various legislative decisions on local communities. 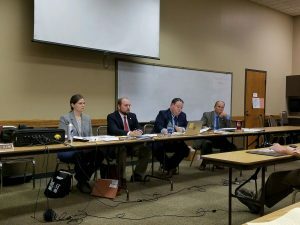 At the October Planning Committee Meeting, we heard presentations regarding the variance in childhood cancer in Nebraska and changing demographics of the legislative budget. These presentations provided helpful insight into the issues affecting Nebraskans today. 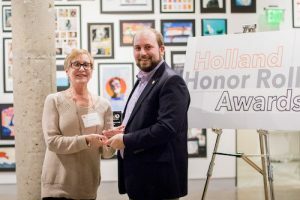 On October 18th, I was fortunate enough to attend the 2018 Holland Children’s Movement Honor Roll Awards. The Holland Children’s Movement works to ensure that children and families are well represented in the legislative process and it was an honor to be selected as an award recipient. I hope to continue to be an advocate for those in the community who are often underrepresented. Election Day — We Did It! On November 6th, Nebraska experienced record-breaking voter turnout. I am grateful to all of the constituents of District 26 who exercised their right to vote and participate in the political process. I am honored that I have been given the opportunity to represent you for a second term! During this term, our office hopes to continue addressing those issues that matter most to District 26. With the start of the session quickly approaching, we intend to take a open-minded and consistent approach to issues impacting local neighborhoods. Thank you for your continued support and I look forward to serving you. On April 18th, the 105th Legislature-Second Session adjourned “sine die”. Since then, my office has kept busy researching our interim studies, attending meetings, and preparing for committee hearings later in the summer. I hope this newsletter finds you well and enjoying the summer months. Each interim, Senators can introduce interim studies, and we have been working on a variety of issues that will have hearings in the fall. My office has been working on several related to neighborhood issues, including LR392 which looks at different tools we can use to empower neighborhoods, and LR433, which looks at affordable housing and rental housing. Look for updates following our hearings in August and September. Last session, the Legislature passed LB989, a bill by Senator Wishart which I was excited to cosponsor, which authorized automated vehicles in Nebraska. Lincoln has since been testing an autonomous shuttle. I was fortunate to get to ride the test shuttle last month, and you can learn more about it in this article from the Lincoln Journal Star. As part of the Mayor’s Challenge, Lincoln is competing with other cities to win funding for the Autonomous Shuttle project. One part of the competition is research on what citizens want to see in a potential Autonomous Shuttle service. If you’re interested in providing your feedback, you can take a short survey here. I am honored to serve on the Legislature’s Planning Committee, which is chaired by Senator Schumacher. 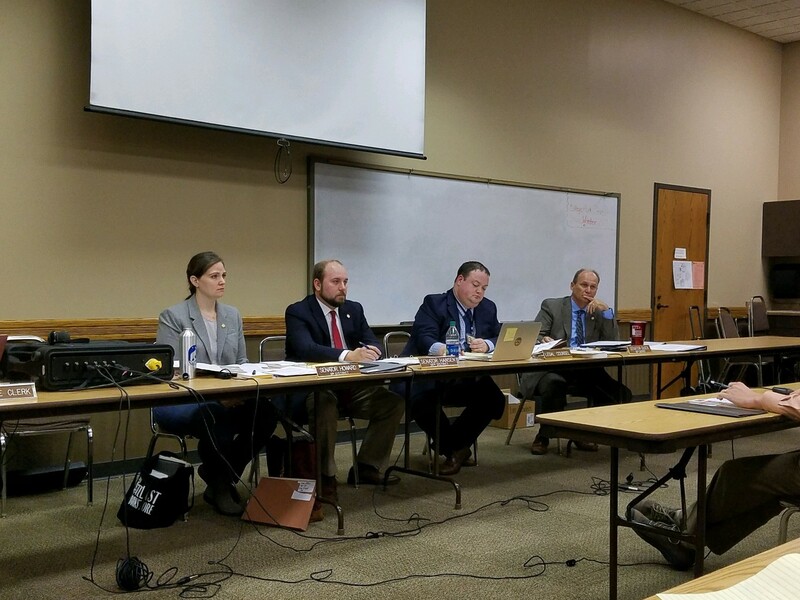 The Planning Committee meets in the interim to identify emerging trends, assets, and challenges of the state and the long-term implications of the decisions made by the Nebraska Legislature. To do this, we collect and analyze data about a broad range of topics within Nebraska, including (but not limited to) demographics, workforce, education, wages, wealth, tax structure, revenue, and natural resources. This month, we were able to learn more about the redistricting following the census. It was enlightening to learn about how population has shifted across Nebraska over the last 20-30 years, and what that meant for our legislative and congressional districts. We also learned about the various state statutes and Supreme Court cases governing redistricting. With the upcoming 2020 census, redistricting will be the responsibility of the state legislature soon. The University Place Pop Up Farmer’s Market will take place on August 8th from 3-6pm, at the corner of 48th and Madison. Hosted by the University Place Community Organization, Civic Nebraska, and Community Crops, the pop up farmer’s market will have produce and art vendors along with activities and discussions about how to bring a farmer’s market back to the neighborhood, and future plans for the 48th and Madison location. If you venture into the Capitol over the next few months, you will likely see construction and closed off hallways. The 10-year, five-phase Capitol HVAC Project will be in full swing soon. Many senators’ offices will be moving up into the tower of the Capitol as a result. My office, located on the first floor in room 1017, is in the northwest quadrant and is not slated to move any time soon. I am honored to serve on the Legislature’s Planning Committee, which is chaired by Senator Schumacher. 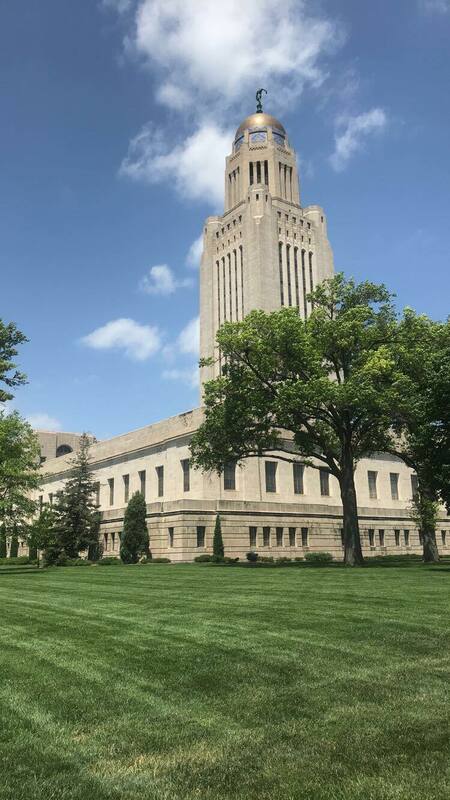 The Planning Committee meets in the interim to identify emerging trends, assets, and challenges of the state and the long-term implications of the decisions made by the Nebraska Legislature. To do this, we collect and analyze data about a broad range of topics within Nebraska, including (but not limited to) demographics, workforce, education, wages, tax structure, revenue, and natural resources. This month, the committee was fortunate to hear from the University of Nebraska at Omaha’s College of Public Affairs and Community Service, which provided us with helpful data and graphs depicting population change predictions over the next 50 years, and how Nebraska’s population will shift among legislative districts and counties. I enjoy serving on the Planning Committee, and having the opportunity to study data during the interim which will impact the choices we make next session and into the future. If you venture into the Capitol over the next few months, you will likely see construction and closed off hallways. While it has not officially begun, the 10-year, five-phase Capitol HVAC Project will be underway soon. Many senators’ offices will be moving up into the tower of the Capitol as a result. My office, located on the first floor in room 1017, is in the northwest quadrant and is not slated to move any time soon. The University Place Pop Up Farmer’s Market will take place on July 11th and August 8th this year, from 3pm-6pm both days, at the corner of 48th and Madison. Hosted by the University Place Community Organization, Civic Nebraska, and Community Crops, the pop up farmer’s market will have produce and art vendors along with activities and discussions about how to bring a farmer’s market back to the neighborhood, and future plans for the 48th and Madison location. This month, the 105th Legislature-Second Session, adjourned “sine die” on April 18th. To adjourn “sine die” means to adjourn without setting a future date for reconvening, effectively ending the session for the year. This also concludes the 105th Legislature. Next January, we will reconvene with the 106th Legislature. Bills that were not passed prior to adjournment are considered “indefinitely postponed”, and are no longer active. Next year, the 106th Legislature will start fresh, with no bills held over. Upon adjourning sine die, we also said goodbye to eight of our colleagues. Senator Lydia Brasch, Senator Burke Harr, Senator Bob Krist, Senator Tyson Larson, Senator Paul Schumacher, and Senator Jim Smith are all term-limited, and cannot run for re-election. Senator John Kuehn and Senator Roy Baker decided not to run for re-election this year and will be leaving office. I am thankful to all eight senators for their public service to the State, and appreciate the opportunities I had to work with them. During this short session, we were able to pass four bills: LB93, LB146, LB258, and LB859. LB93 was introduced last session and adopts the Automatic License Plate Reader Privacy Act. This is designed to protect citizen privacy from data breaches, by limiting access to sensitive databases. LB146 allows for minor infractions to be “set aside” in the court system. This bill would primarily help students clear their record of small infractions, and become eligible for federal student aide. LB258 will provide the opportunity for inmates to obtain a state identification card or renew a driver’s license before being discharged. I am grateful to the Department of Corrections for working with me on this issue, and starting a successful pilot program. I am optimistic that the program will be implemented effectively, and can be one part of the effort to successfully reintegrate individuals back into society. This year we were also able to pass LB859. LB859 will allow family members access to records relating to the investigation surrounding the death of a family member who died on the job. I am appreciative of all the stakeholders who helped me pass this bill, as I believe it will help to ease burdens on these families who are already going through unspeakable tragedies. The 105th Legislature was my second full two-year legislative session, and my office was able to pass many important pieces of legislation. In addition to the bills I elaborated on above, we passed LB113, a bill to change population threshold provisions relating to municipalities and clean up other statutes; LB259, which incorporates another bill I introduced, LB145, and aims to eliminate unnecessary financial burdens on our counties by allowing individuals who are sitting in jail in order to pay off debts the opportunity to pay via an installment plan or perform community service; and finally LB519, which clarifies sections of Nebraska’s unemployment compensation law to treat “reimbursable” employers the same way as “contributing” employers. I am appreciative of all of my colleagues who helped to collaborate on these issues, and voted to pass the above bills. Unfortunately, another bill that my office worked heavily on did not get enacted into law. LB 873, introduced by the Urban Affairs Committee, where I serve as the Vice-Chair, was a package of bills designed to help cities and neighborhoods. Included in that bill were my LB 748 and LB 880, which would have updated a variety of city statutes and helped cities plan for childhood education. The Governor vetoed the package after we adjourned sine die, preventing us from attempting to overcome the veto, and ending this important legislation for the year. In the spirit of sine die and its “last day of school” feel, my staff and I celebrated with a photo in the Legislative chambers. While we will not be in session over the interim, my staff will be available as always. From left to right, Courtney Lyons, my legislative aide; myself; and Sarah Wagelie, my administrative assistant.